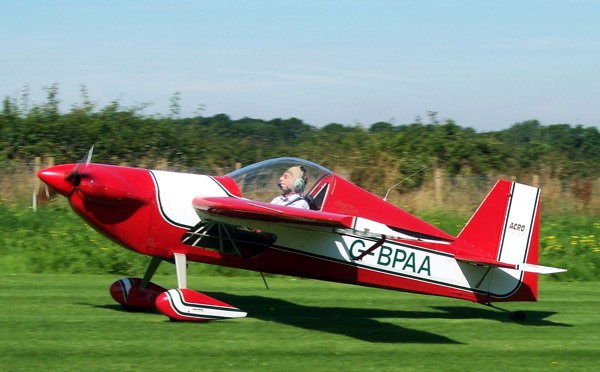 The generic description ‘aerobatic aeroplane’ means different things to different people – for me, it defines an aeroplane capable of being a serious contender in aerobatic competition at a chosen level or to sustain an aerobatic display sequence without height loss. 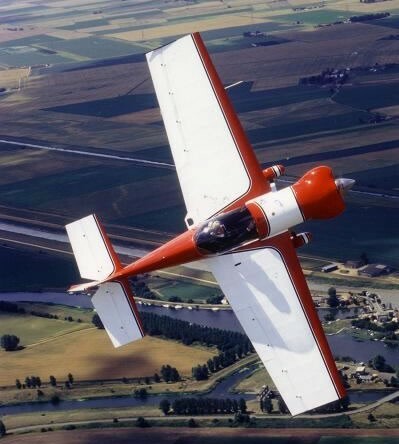 That was the design criteria for the Acro Advanced and, with its already proven 68hp Acro Aerobatic Engine, it had to be nothing less than being fully competitive for Intermediate level competition whilst being advanced capable - yet operationally truly affordable. Many think that that’s the winning formula that the sport aerobatic world has been waiting for – after all, many of our top F1 racing drivers learnt their basic skills in karts before eventually moving up into the mega expensive sponsored hardware. However, in aerobatic competition it’s common practice these days for even entry level pilots to compete in unlimited aeroplanes. Indeed, most competitors believe that they have a better chance of winning the more powerful and upmarket the aeroplane used. How many potentially talented aerobatic pilots, with other priorities on their income, are effectively excluded by the lack of affordable hardware that this myth perpetuates is difficult to quantify. Although the Acro Advanced and the Acro Aerobatic Engine exceeded all my expectations, and continue to do so, it was regrettably never practical to reproduce it. Market research, and my personal experience, only confirmed that there isn’t a market out there, at this time, which would be financially viable for anybody to produce such a machine and engine or at the very least comprehensive build kits. The history of aviation is littered with failed manufacturers who didn’t get their market research right! 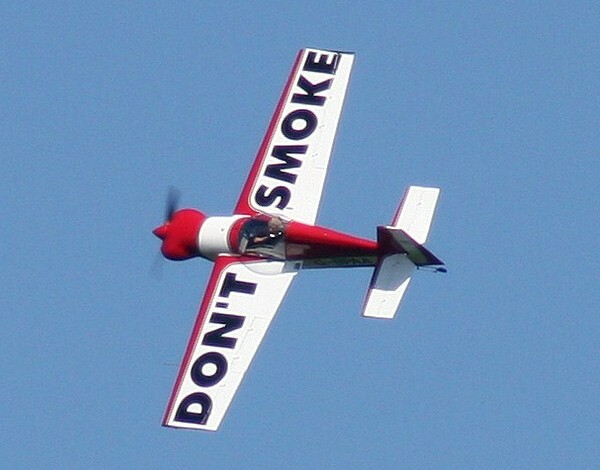 Pilots who want to take up serious sport aerobatics are seldom from plans homebuilders. Airframe development can only ever follow engine availability – the Acro Advanced (which has been operational since 1994) was only made possible following the design and development of the already competition proved Acro Aerobatic Engine - operational since 1983. Since then many new engines, in the range up to 80hp, have come onto the market but any of the ones I’ve looked at didn’t tick all the boxes – maybe I’ve missed one, but if there was a viable market for it, someone would surely develop one. But note, that means more than something that will run upside down. An aerobatic engine must be basically very robust to be reliable - to tolerate the abuse inevitable from extended use at full power in every imaginable attitude from zero airspeed to VNE, under negative and positive G as well as the gyroscopic loads in autorotation. It must have near perfect fuel mixture (fuel injection) and all the temperatures and pressures in the green at all times. And be affordable! Single seat aerobatics is a comparatively minority sport and, in the case of affordable aerobatics, virtually non-existent. There are many reasons why development of affordable competition class aerobatic aeroplanes hasn’t happened. Maybe it’s a question of fashion, but certainly, the potential and benefits for the encouragement of the development of affordable aerobatics has been largely overlooked by the leaders of the world’s aerobatic competition establishment. Yet, in all but the top levels of the sport, affordable aeroplanes of good design can compete equally with mega expensive machinery when properly judged to the CIVA Aresti System criteria, which should ensure a judging level playing field. For change to take place it will require a fundamental shift in the current culture – maybe the rising cost of fuel will have some effect – maybe not – Avgas in the USA is still less than half the cost in the UK. Forever optimistic, for me it’s a no-brainer, once all the many benefits are understood - pilots can afford to practice – the economy of operation is kinder on the environment and, importantly, noise levels can be better controlled – the time for enlightenment is already here! However, to be realistic, change will maybe only come about should the sport find itself in decline due to cost and reduced interest. Unless change takes place, that’s a distinct possibility. The drop out rate would confirm this. Where the sport goes for its future development is very much in the hands of the world wide aerobatic sport governing bodies. There’s a relatively simple solution for meaningful future development and that’s to limit the power of the engine in the aeroplane according to the class it competes in. 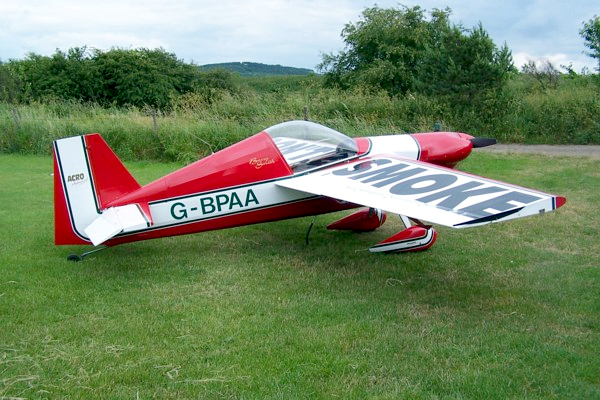 This would have in principle two major benefits – first, the sport would become more accessible, encouraging its growth – second, it would lead the way to encourage development and manufacture of affordable hardware, whereas now, virtually all development is concentrated on expensive unlimited aeroplanes, the bigger market would favour efficient aerobatic aeroplanes of lower power. Maybe there would have to be interim arrangements but if a future date was set for new power regulation it would be a win, win situation for the sport’s development. No doubt there would be much argument as were the power limits should be set but from my own empirical experience, for single place, it would be <80hp for up to intermediate and <100hp for advanced. For 2 place and some of the older certified aeroplanes these limits could be increased slightly. Unlimited would carry on as before. I hope my brief analysis of sport aerobatics has given some food for thought and maybe read by some of the movers and shakers in aerobatic associations. Anyone seriously interested in sport or display aerobatics is always welcome to call for a chat and have a look at the Acro Advanced. Like to see more detail? Click the image to see a larger photo!